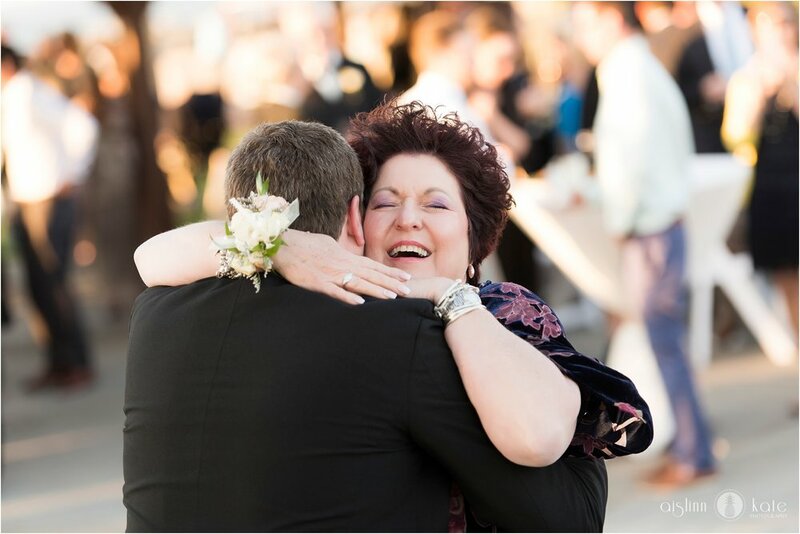 Every once in a while, I have to pinch myself that my JOB is to photograph people’s weddings. 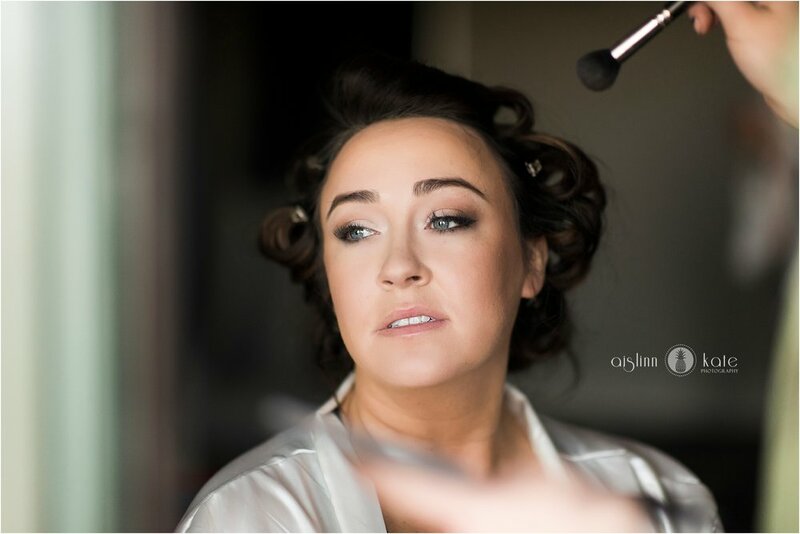 Sure, there are a million other responsibilities that go along with actually taking the pictures, but the wedding day is the heart and soul of it all. Every once in a while, I get to photograph a wedding that reminds me why I love doing what I do – Sarah and Brandon’s wedding was this. 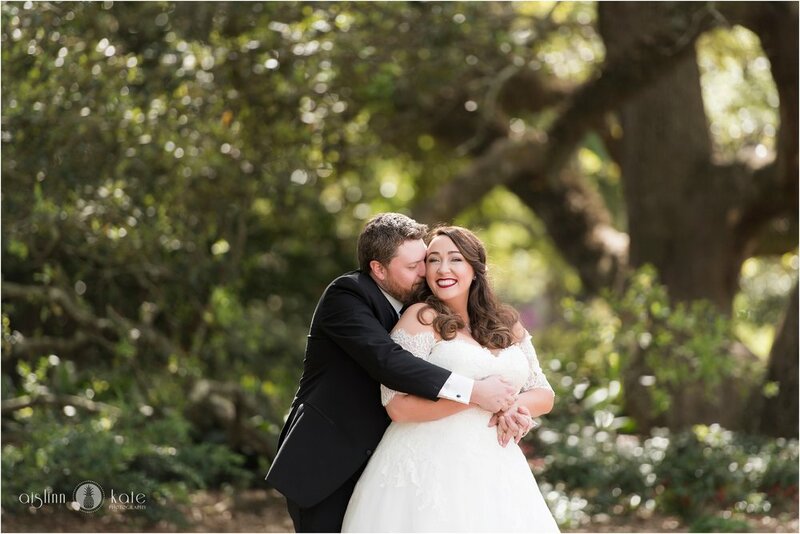 Sarah and Brandon chose to have their wedding at The Grand Hotel in Point Clear, Alabama – one of my very favorite venues along the Gulf Coast. 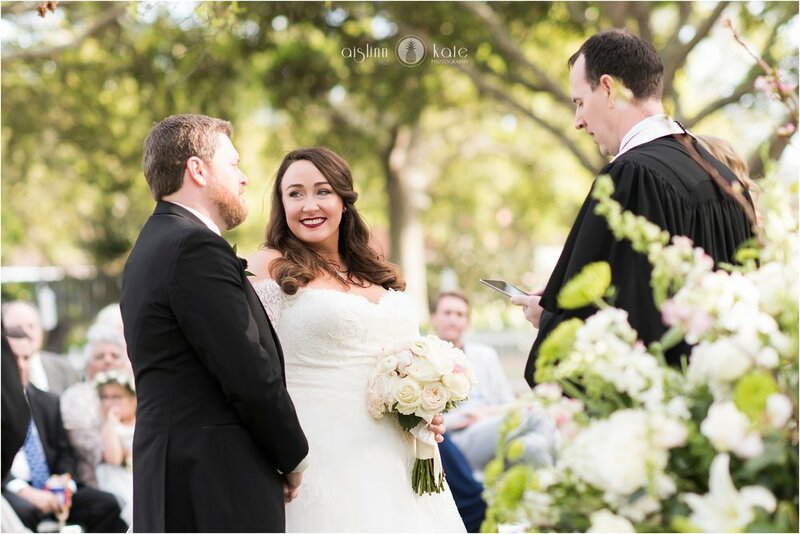 Their ceremony took place under a grand live oak, with the lagoon waters sparkling behind them as the sun dipped low in sky. 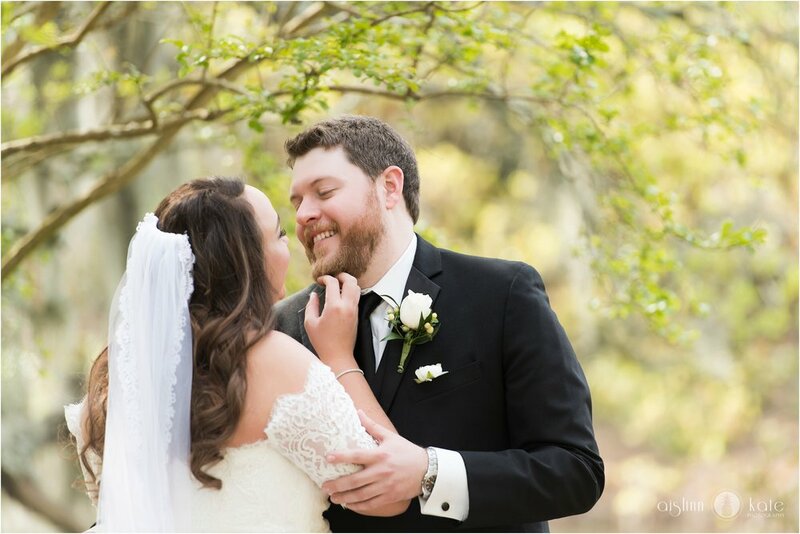 The spring weather was absolutely perfect, with a slight breeze keeping away any pesky mosquitos and the sun warming their guests’ shoulders. 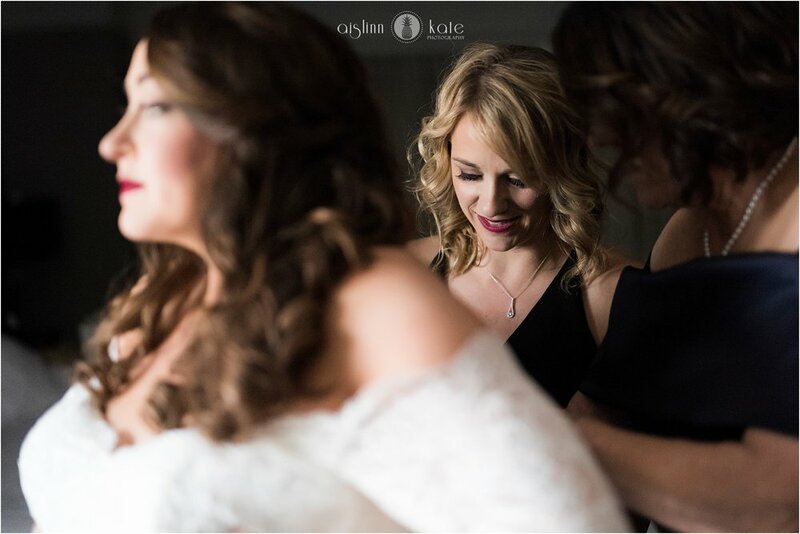 Sarah wore a stunning lace gown (I am completely obsessed with the off-the-shoulder sleeves). 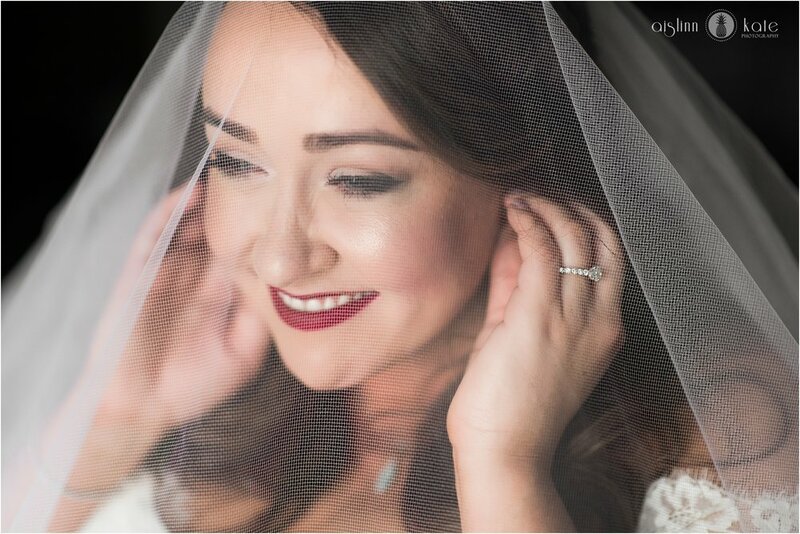 Her red lipstick and cathedral veil (originally her mom’s!) completed the look, and I could have photographed her all day long. Brandon was laidback and charming, and it was clear why everyone in attendance had such affection for him. I absolutely adored his reaction to seeing Sarah for the first time that day. Their evening reception took place under the stars, with the sun setting during cocktail hour. The big band kept everyone on the dance floor all night long, twirling away under market lights and enjoying the fun tambourines that made an appearance later in the evening. 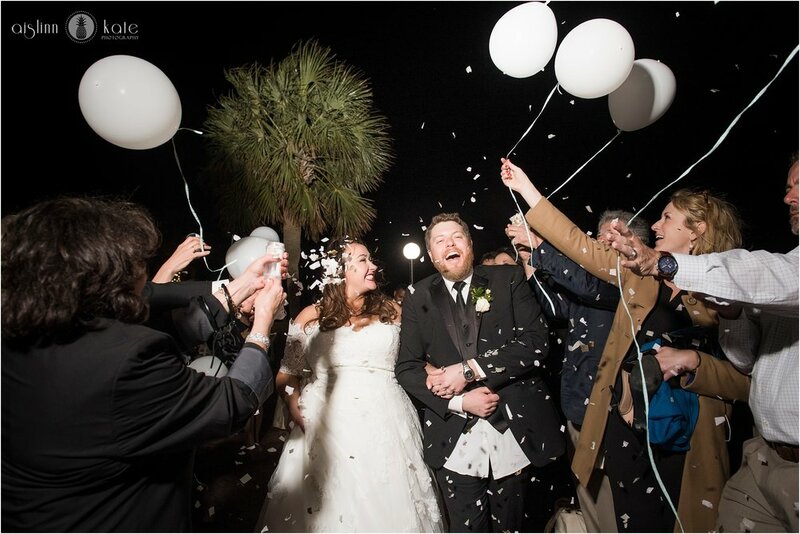 At the end of the night, Sarah and Brandon exited under a blanket of confetti and fun balloons, and rode off in a golf cart, decorated of course!